Southern California is not exactly Orchid Country. But in Montclair, California, in between the native chaparral and red tile roofed Spanish-style homes, sits Norman’s Orchids, the source of most of the orchids in my house. Norman opened the nursery in 1986 and now employs most of his family. His mom, Hsi-Mei, oversees the growing; his father, Charley, is in charge of the grounds; and his brother, Eric, is the tech genius who had the foresight to register “orchids.com” in 1995. It’s truly a family business. But don’t let the “family business” description fool you – this place is huge, with dozens of giant greenhouses and untold numbers of plants. When I was in town last, I dropped by with my dad, which was fitting because he taught me everything I know about orchids. It was bucketing rain outside, but inside was warm and toasty. You can visit Monday through Saturday between 9am and 5pm. 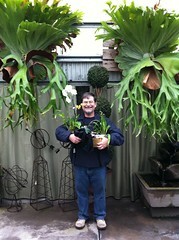 When you walk in, look to your right to see the two largest Staghorn Ferns I’ve ever seen. My dad is not a hugely tall man, but he’s also not the midget this photo makes him out to be – the ferns are just that big. As jaw-dropping as this room was, the really cool stuff was behind a large sliding door in the next greenhouse where Norman’s family and other workers were furiously packing orchids for the holidays. My dad’s a lot less shy than me, so when a woman walked by (Hsi-Mei, perhaps? ), he asked if we could tag along with her. She agreed, so long as we refrained from touching anything. She needn’t have asked, because when we walked in I was so dumbfounded I couldn’t speak, let alone touch anything. 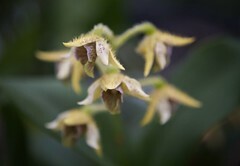 In the immense greenhouse were hundreds of orchids, most in bloom, forming geometric patterns of colors. I looked around a bit and then remembered to take some photos. None of them really captured how amazing this place looked, but this one gives you a taste. We didn’t get to venture any deeper into the greenhouses (hey Norman, maybe next time? ), but that was plenty. We quickly went back to the first room and bought a bunch of plants. 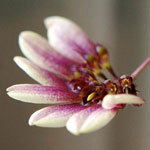 I’ll post photos here in the future as they bloom. If you’re in Southern California, I highly recommend a visit to Norman’s Orchids. 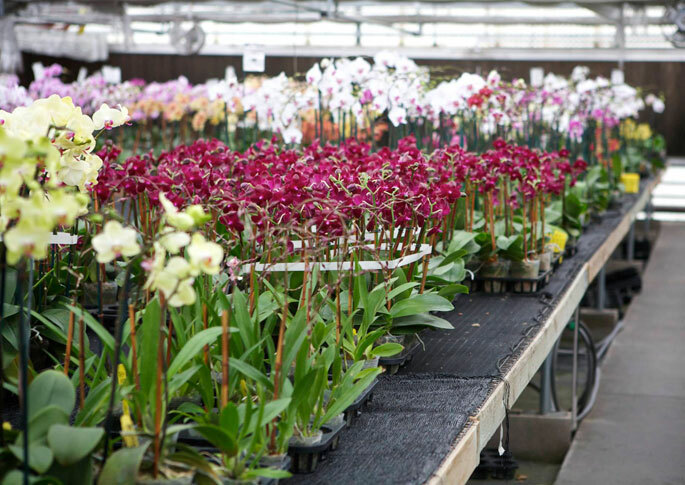 It’s basically Mecca for orchid-lovers. And if you can’t visit, I also recommend buying from them online. 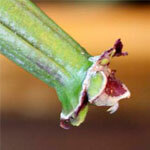 I’ve bought dozens of plants from them and they always arrive in perfect health and extremely well-packed. The last box I received even included a little chemical heat pack because it was cold outside when it shipped. The kind of attention to detail can’t be beat. Thanks, Norman, for creating a tropical oasis in the California desert.